Allen Toussaint & Gibson Guitar Collaborations with / Songs covered by Elvis Costello, The Rolling Stones, The Who, The Band, Paul McCartney, Aaron Neville, Dr. John, Jerry Garcia, Phish, Plant / Krauss and scores of others. Allen Toussaint and Elvis Costello Collaborations with / Songs covered by Elvis Costello, The Rolling Stones, The Who, The Band, Paul McCartney, Aaron Neville, Dr. John, Jerry Garcia, Phish, Plant / Krauss and scores of others. 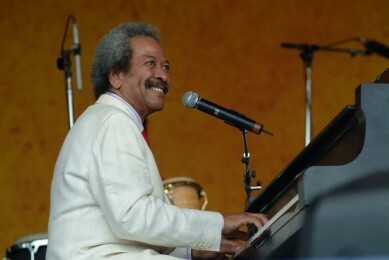 Come in and enjoy the life and music of Allen Toussaint. You are about to experience one of the music world's treasures. The Southern Knight has led a surge of music that spans five decades. Collaborations with / Songs covered by Elvis Costello, The Rolling Stones, Patti Labelle, The Who, The Band, Paul McCartney, Aaron Neville, Dr. John, Jerry Garcia, Phish, Plant / Krauss and scores of others. 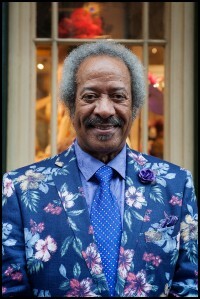 The Toussaint Family Continue to Thank You For All The Love And Support & Please Check Back Regularly to See The New Things To Come To Keep The Spirit and Music Of Allen Toussaint Living! New Orleans. Music is everything to me short of breathing. "He was such an influential songwriter and performer," Jagger tweeted! "I don't want y'all thinkin' 'this is just some old legend that passed away' naw," Questlove, founding member of the hip-hop group The Roots, wrote on Instagram. "This dude wrote some of your favorite music & you just didn't know it." Toussaint's influence is woven through popular music and hip-hop, he wrote. "At least 12 'Get Out My Life Woman' snares were like starch in hip hop's daily nutritional chart -- meaning so there you barely notice it," Questlove wrote. 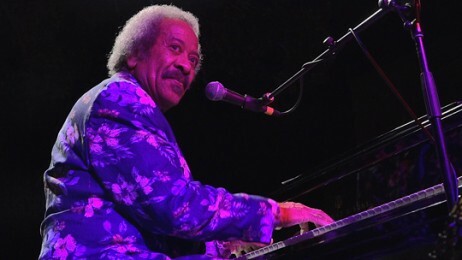 Last week, the New Orleans City Council unanimously passed a resolution declaring Thursday, January 14 to be 'Allen Toussaint Day' in the city of New Orleans. On what would have been his 78th birthday, the whole city will celebrate one of the finest musical ambassadors New Orleans ever had. As part of the celebration, WWOZ is airing two back-to-back episodes of New Orleans Calling, paying tribute to Allen, starting at 2p. Part One, featuring the story of Allen Toussaint in his own words, is also available for online streaming now at neworleanscalling.org. Part Two features the voices of his collaborators and friends, including Irma Thomas, the Meters, and others, and will become available online after it airs on Thursday. Toussaint passed away unexpectedly while on tour in Spain on November 10, 2015. A stirring and emotional tribute to his life happened at the Orpheum Theater on Friday, November 20 with performances and words from many of his talented friends, including Cyril Neville, Deacon John, Irma Thomas, John Boutte, Boz Scaggs, Davell Crawford, Jimmy Buffett, Elvis Costello, and more. Tap Jazz Fest Banner For Line Up! Oh Yeah! Tour featuring New Orleans Legends Preservation Hall Jazz Band and Allen Toussaint, Coming to a Theatre Near You ! President Barack Obama on Wednesday bestowed prestigious National Medal of Arts to famed New Orleans musician Allen Toussaint, Louisiana author Ernest J. Gaines, and Lake Charles-raised playwright and “Lincoln” screenwriter Tony Kushner. “Star Wars” creator George Lucas was among nine others also honored in White House ceremonies. Obama called it a special treat to honor all the musicians, writers, directors, artists and others who have inspired him and the rest of the nation. Obama singled out Gaines, 80, who is best known for his novels “A Lesson Before Dying” and “The Autobiography of Miss Jane Pittman,” along with singer and pianist Toussaint, 75, for their inspirations. Obama then praised Gaines for rising up and thriving after being born into a sharecropper family on a plantation in Pointe Coupee Parish. Afterward, Toussaint called the day historic and said that getting the Medal of Arts from the president was the greatest award he could receive. Although Toussaint, Gaines and Kushner had never met before Wednesday, Toussaint said it is “wonderful” for multiple people with state ties to receive recognition and get a chance to learn more about each other. “When the saints go marching in, here we are,” he said. Kushner, 56, grew up in Louisiana and graduated from Lake Charles High School. He is a Pulitzer Prize winner for his play “Angels in America,” and has been nominated for an Academy Award this year for his screenplay for “Lincoln.” Kushner first met Obama last year when he visited the White House for a private screening. “Out of any award I’ve ever gotten, this is the most meaningful by far,” Kushner said of the Medal of Arts. “It’s thrilling for me to be honored by the government of my country and that it’s a national award means a lot. “I’m incredibly thrilled to be honored by President Obama, who I consider to be one of our genuinely great presidents. Other than Abraham Lincoln, I can’t think of another president I’d rather receive a medal from,” Kushner added. Kushner also spoke fondly of growing up in Lake Charles. Kushner said he also was influenced by growing up in the state during the civil-rights era and witnessing school integration and busing. “I got to see the federal government in action, and I got to see that you can mandate certain social transformation and that people can surprise themselves with how much more advanced they are than they actually realize,” Kushner said.